I love these colours. I think I have the same paper pad as a lot of others, My Minds Eye, Stella & Rose Collection - Hattie Papers. It is perfect for this challenge. I love this paper pad, it was SO hard to actually use a few sheets of it ! Beautiful card Tracy. Love the softness. Love the butterfly. What a gorgeous and sophisticated card! 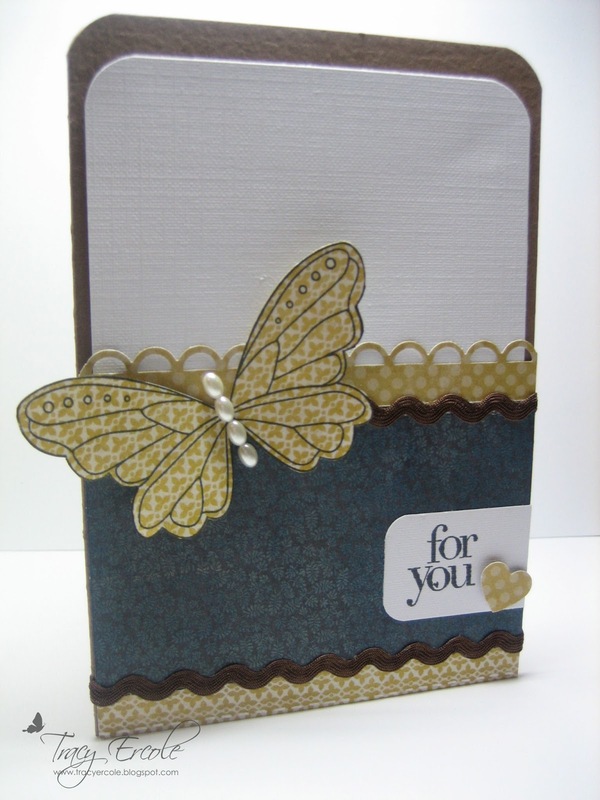 The large butterfly really steals the show as it rests so perfectly against your background. What a soft elegant card... NICE! Oh, I know THAT feeling, of not wanting to dig into a paper pad!! I'm glad you did though, 'cause your card really shines! I love its simplicity. THanks for playing with us at The Play Date CAfe this week! I love those papers too! I really love how you've used them here; that bit of ric rac is such a perfect touch. Your butterfly is fabulous. 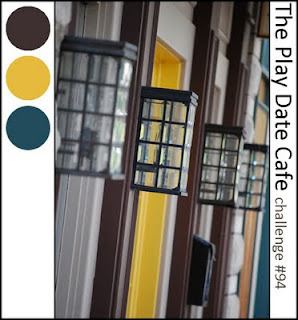 Thanks so much for playing along at The Play Date Cafe this week. 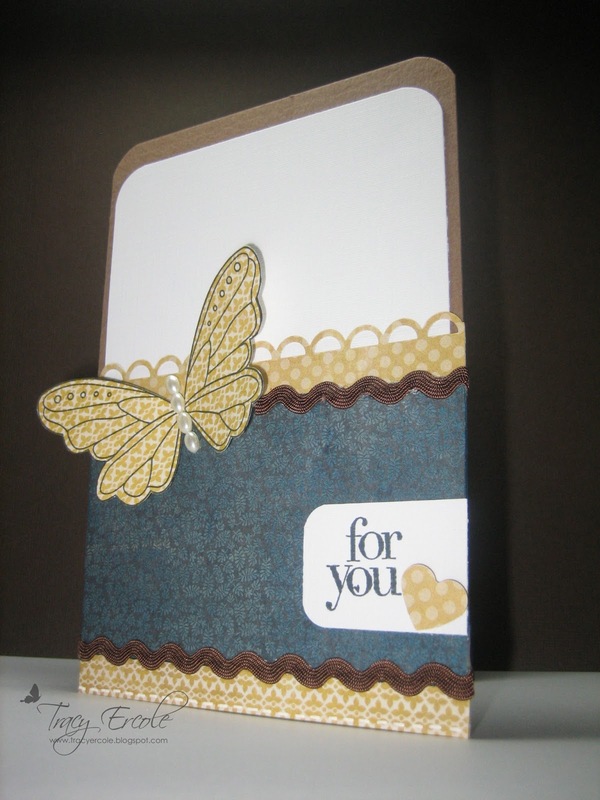 Beautiful use of patterned papers, love that butterfly! Thanks for playing this week at the Play Date Cafe! I think the paper was worth using to create your stunning card!